Labour is currently consulting on new policies as part of its 2018 ‘Policy Commission’. The NEC has assigned MPs to different policy areas, and each commission is tasked with working alongside the National Policy Forum (NPF), affiliates and grassroots members to “advance the policy framework set out in our 2017 general election manifesto”. It’s important these discussions are as wide-ranging and transparent as possible, and encourage a genuine exchange of ideas within the party. LabourList is a platform where members are able to contribute to the debate and make the case for policy proposals, so I’m kicking off with one of mine: in its next manifesto, the Labour Party should promise to scrap Section 21. Last year, my landlord issued me with a notice: I had two months to vacate the property and find a new home. He claimed, at the time, that he wanted to move back in. I had only signed the contract six months earlier. There is a policy known as ‘Section 21’ that facilitates one of the biggest injustices in the private rented sector. It gives landlords the freedom to remove tenants without a reason. The ability to evict tenants so easily makes buy-to-let an almost risk-free venture, driving prices up and the standard of landlords down. The policy, which applies to England and Wales, means anyone can be evicted, regardless of whether they’ve broken the terms of their tenancy. Termed ‘no fault evictions’, the ability to do this was introduced under Section 21 of the 1988 House Act. Previously, it was much harder for a tenant to be evicted, providing they paid rent on time and cared for the property (there are separate laws allowing landlords to remove them if they don’t). Scrapping the policy is not one Labour committed to in our general election manifesto, nor in our housing green paper launched last month ahead of the local election. It is, however, something Jeremy Corbyn has previously mentioned in an interview. While ‘For The Many’ is the most revolutionary document on social policy the party has produced in decades, it is fairly sparse when it comes to the private rented sector. 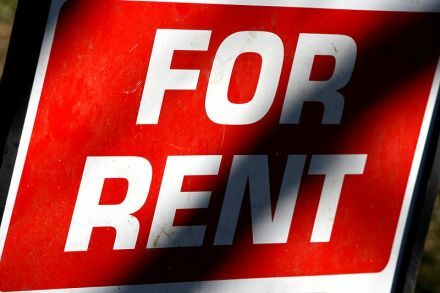 Arguably, the biggest issue facing renters is cost. The extortionate rise in rents – far beyond inflation and the cost of living – is pushing many into financial precarity, particularly in the cities. Labour’s commitment to control rents and redefine affordability – away from the Tories’ market-linked definition – is key. It’s also important that Labour has hammered home the need for investment in fire safety following Grenfell. Still, there is more that can be done to provide security as well as affordability to tenants. The reason Labour hasn’t committed on Section 21 yet could be because the majority of renters (largely city-dwelling, students or young professionals) are already Labour-inclined. Half of 18 to 35 year olds are renters; they’re attracted by Labour’s policies of investing in jobs and public services. They would also much rather be making use of our promised council homes, or of easier access to home ownership. Our housing pledges at the last general election focussed on those more home-secure voters less likely to back Labour, as well as the traditional core vote that had previously flirted with UKIP. But if Labour wants to give all workers job security from day one, why not tenants, too? Being sacked and being evicted are both incredibly disruptive life experiences, and both policies would shift significant power in society into the hands of ordinary working people. The number of people this would benefit is growing, too. Since the crash, the private rented sector is increasingly made up of families and older people. Insecurity and concern at the prospect of being evicted is harmful to their quality of life, and being uprooted from the community and local schools can be especially damaging for children. It is also a big concern of charities like Shelter that many private tenants are letting problems like mould, infestation and disrepair go unreported; for fear that complaining will get them evicted. Labour has proposed to introduce a commissioner to “represent the views of tenants”. It could be part of their role to ensure landlords are complying with the law on no-fault evictions. Although revenge evictions became illegal in 2015, this only applies to tenancy agreements signed after that date, and by February last year, only half of local councils had actually used the powers. Clearly this is something Labour in power in local government could be taking action on immediately – but it is difficult if landlords claim complaints were not the reason under Section 21. Labour’s policy commission should be looking abroad for new ideas. In Germany, tenancies are indefinite and homes can be bought and sold while tenants remain living in them. Last year, Scotland also abolished no-fault evictions. To ensure a stable home is truly something for the many, increasing tenant security by scrapping Section 21 should be something we adopt too. Generation Rent will be launching a campaign to scrap Section 21 on June 13th. Speakers include Dawn Foster and Gordon Maloney. You can register for the event here. You can learn more about how Labour makes policy, further details about the 2018 consultation on Labour’s NPF website, and make your own submission here.